A Chapter 7 bankruptcy case offers relief from consumer debts, such as credit cards, medical bills and other unsecured loans. Relief is not available in Chapter 7 for federally guaranteed loans, student loans, past due taxes, and overdue child or spousal support payments. Following the discharge of debt through a Chapter 7 proceeding, creditors can no longer collect the debt. Most states recognize the debtor's right to retain certain property, such as a home or car, if the debtor reaffirms the existing mortgage or secured loan; all other non-exempt property is seized and sold by the trustee who pays the proceeds to creditors. 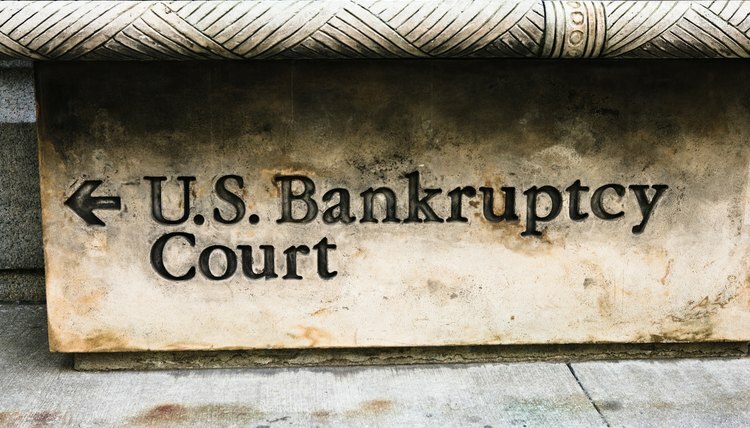 Congress passed the Bankruptcy Abuse Prevention and Consumer Protection Act of 2005, which requires use of the means test as a way to determine eligibility for Chapter 7. The means test calculates your average monthly income for the past six months and compares it with the median monthly income for a household of similar size in your state. If your average monthly income is lower than the state median income, you are eligible to file for Chapter 7. If your monthly income exceeds the state median, you may still be eligible if, after deducting all allowable expenses, you have no disposable income to repay creditors. If you are not eligible for Chapter 7, you can file for Chapter 13 bankruptcy instead, which permits you to enter into a repayment plan that gives you up to five years to pay off your debts. The means test calculation includes the following types of income: wages, tips, bonuses, overtime pay, annuity payments, retirement and pension income, state disability insurance, child and spousal support, unemployment compensation, workers' compensation benefits and rental property income. The Bankruptcy Code specifically exempts from the means test income calculation benefits authorized by the Social Security Act, including Social Security retirement benefits, Social Security Disability Insurance and Supplemental Security Income. Therefore, you do not include your Social Security payments as income in the means test calculation. Even though Social Security benefits do not form the basis for income calculations for the means test, you are required to disclose those benefits to the bankruptcy court. Among the financial information that must be provided in the bankruptcy petition is the source, frequency and amount of income. Social Security payments must be reported with that financial information; if you are married, the Social Security payments of your spouse must also be disclosed.